Confirming Brexiteers' doubts about May? At any time over the last two years, you've always been able to hear the faint jangling of Brexiteer nerves, a suspicion that the prime minister doesn't really believe in leaving the EU. 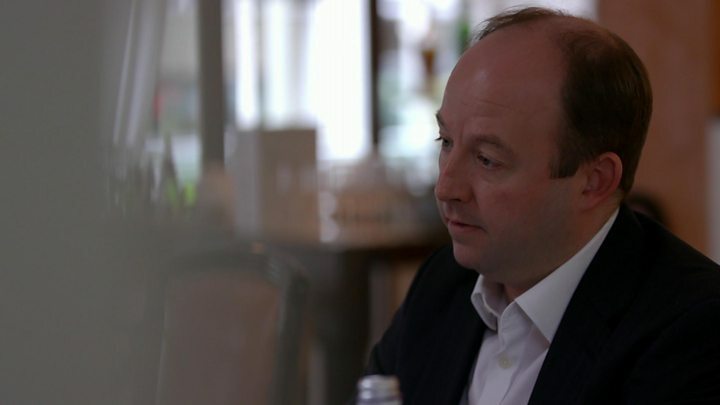 As part of a BBC 2 documentary, where I've been following every dip and peak of Brexit's rollercoaster, I've been speaking to Nick Timothy, Theresa May's former chief of staff. In his reflections, he says the prime minister has seen Brexit as a problem rather than an opportunity, and that is one of the explanations for the government's struggle. He told me the prime minister actually sees Brexit as a "damage limitation exercise", that she and other ministers have "struggled to see any economic upside". "If you see it in that way, then inevitably you're not going to be prepared to take the steps that would enable you to fully realise the economic opportunities of leaving," he said. His remarks are, frankly, likely to rattle both sides of the Tory Party, given his role and record in helping setting out Theresa May's early path in Number 10, and then in the disastrous election campaign. But his assertions might confirm some of the doubts in Brexiteers' minds about her personal view on the whole thing. Mr Timothy also questions whether Number 10's efforts to keep the Tory Party on board have made things worse. He said: "One of the difficulties she's had is that she's tried to take every part of the party with her at different points … it would have been better to be clearer that not everybody in the party was going to get what they wanted." Given that he was an instrumental part of those early decisions, that won't win him any new friends. Mr Timothy, a Brexiteer, also didn't hold back when describing the attitude of many in Parliament. He told me that many MPs write off Leave voters as "being racist, stupid or too old to have a stake in the future" and warned that the government's mishandling of Brexit risked "opening up space for a populist right wing party … this is one of the dangers of where we are right now". Mr Timothy, who many MPs consider to have been responsible for some of the mistakes of the 2017 general election campaign, also said that Theresa May's premiership had "not been bad, but unlucky".